I have a cat who is eighteen years old and experiencing difficulties walking because of weakness in her back legs and spinal issues. The vet thought she was a candidate for euthanasia earlier in the fall, but she has fooled all of us by hanging in there through the winter. With the arrival of spring, she enjoys the smells that come through the open windows. She is what my mother would call “a good eater”, she loves sitting on my husband’s lap, and she braves the steps to the upstairs several times each day. She is a trooper. Watching her aging process and experiencing my own, I find her an inspiration. I, too, have been having my share of age-aggravated issues, and many impact my writing. Because of a balance issue which went misdiagnosed for over five years and degenerative problems in my spine and neck, sitting at the computer to write has become more and more difficult. Those same problems have cut into attending conferences and in doing in-person author events. What my younger body was able to compensate for now presents challenges that need interventions of many sorts. But healthy aging itself presents its own set of issues. Unless we write about protagonists our own age—and most of us write about characters considerably younger—we are creating characters and their worlds from what we learn from sources other than our own experiences. There are comic strips I find puzzling because I do not catch the references or recognize the names in them. Writer friends younger than I post on social media about television shows they enjoy, but I cannot connect with most of these programs. Recommendations for movies seem to be written by someone much younger than me. Yep. I’m getting old. Sue Grafton seemed to find her way around some of the problems of a younger protagonist in contemporary society by freezing Kinsey in time, but her approach was unique, and one not followed by many contemporary writers. It’s interesting that many of the readers of cozy mysteries, the genre of my work, include younger readers, not necessarily young, but many years my junior. How can I continue to write a protagonist enveloped by life here-and-now? 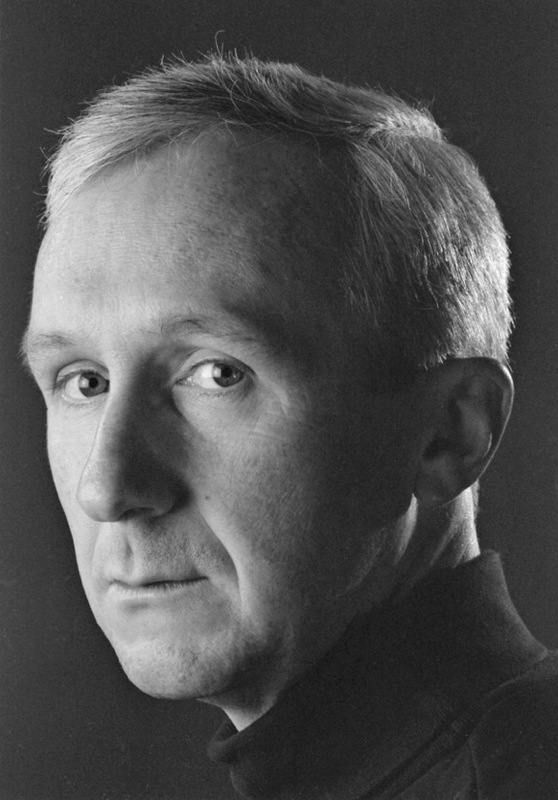 Perhaps the aging writer needs to approach the task of the younger protagonist by researching society the way those who write historical fiction research the past. Here are a few suggestions all of us—because, let’s face it, we are all aging—can use now or in the future. There’s nothing new here, but a reminder never hurts. Develop good habits while at the computer. My occupational therapist encouraged me to take a closer look at my desk and my desk chair to make certain they helped me maintain good posture. It’s also important to consider issues of lighting, not only the adequacy of the light but also the direction of the light source. In addition, monitoring posture while writing at a computer and taking frequent breaks are keys to avoiding neck, shoulder and back stress. See. You already knew this. Your challenge is to remember this ten years from now. Begin preparing by doing these things now. Don’t beat up your body. It finds ways of getting back at you. If in-person meeting and writer conferences are too difficult for you, on-line workshops, guest blogging, author social media sites, and promotion and publicity sites are excellent ways to make your presence known and get your work out to a wide audience. You may have to spend more money on promotion, but it can be the money you save by reducing the number of conferences you attend. Be certain that if you increase your on-line presence you attend to good computer skills. Part of this includes taking frequent breaks. I cannot stress this too much because it’s so easy to underestimate time at the keyboard and pay for it later with neck and back issues. This may be the time in your writing life to re-evaluate what you are writing. Growing older means you have added to your reservoir of experience and wisdom. You may find this changes what you want to write. 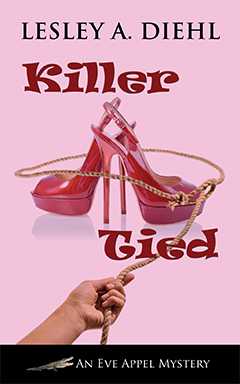 I’ve always written humorous cozy mysteries. A good laugh has always been part of my writing life and my personal life as well. 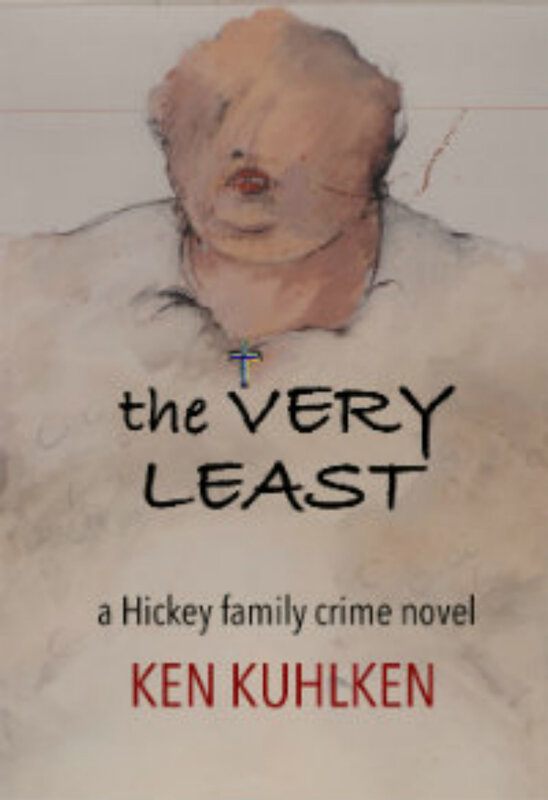 Funny had gotten me through some bad times, and it always will, but I’m now beginning to consider writing more serious mysteries and perhaps stand-alones rather than series work. Getting older has a lot of benefits and one is being more and more honest about how to invest energies and creativity. Taking on new things may keep us younger longer. Doing the old ones in a smarter way can keep us at what we love longer also. My elderly cat has much to teach me. She’s enjoying her life, now so different from what it once was. Perhaps it pays to sit back, sniff the spring smells and consider what I can do in this new chapter in my life. And, of course, she stretches often. 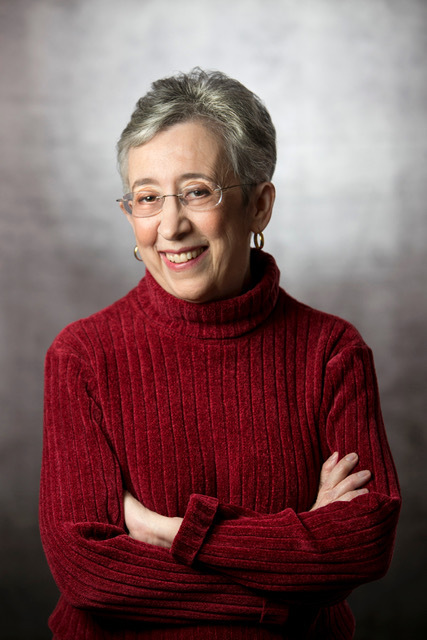 Bio: Lesley A. Diehl retired from her life as a professor of psychology and reclaimed her country roots by moving to a small cottage in the Butternut River Valley in Upstate New York. In the winter she migrates to old Florida—cowboys, scrub palmetto, and open fields of grazing cattle. 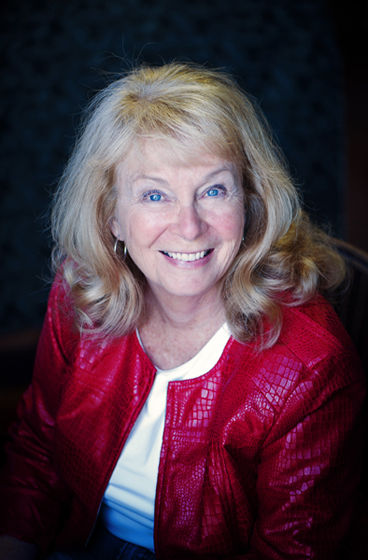 The author of several mystery series, mystery novels, and short stories, Lesley is a member of Mystery Writers of America and Sisters in Crime – International and Guppies. To learn more about her work, go to www.lesleyadiehl.com. Don’t get attached to the outcome. This is easy to tell someone else, but much more difficult to accept when you’re the one who has a stake in that outcome. I’ve been thinking about this lately because my writing career seems stalled. I’m not blocked; I continue to write, and I’ve just started working on a book I’ve been thinking about for a while that promises to be challenging. But the most recent books I’ve worked on, and that I’m trying to sell… Nothing. Nada. Zilch. Big goose eggs. Some of this is my own fault. My last novel, “Bright Morning Star,” was printed in 2015 by an independent publisher. My first three novels came out with traditional houses and, despite the problems writers have had with publishers over the years, they do provide an infrastructure that helps you promote your book. When you go with an independent, you are on your own. You have to do your own publicity, which is a full-time job in its own right. I already have a full-time job, and as I tried to flog “Bright Morning Star” I had the feeling the parents of newborns often confront — there are not enough hours in the day. So, with my latest efforts, I decided I wanted a traditional publisher who would provide (at least a little marketing help. To do that, of course, I need an agent. I’ve had several agents over the years, but I’ve never been able to stick with one. Still, I know how the process plays out so in 2017 I began pitching a novel titled PUBLIC MORALS, a murder mystery and crime novel set (as I put in my query letter) two very different cities: the New York of the 1970s, and the New York of today. While I was waiting and hoping to get a positive response, I began working on a sequel, which is titled SPECIAL VICTIM. I’d never written a sequel before, and it proved to be an interesting exercise. I already knew many of the characters, but I felt there was still much to explore in them, and their journeys continued in ways that sometimes surprised me. I found myself enjoying the ride. The suggestion led to a rewrite of the second half of the book. (I thought I was going to repaint the walls; I wound up doing a gut renovation.) It took a while but I was pleased with the revisions. Of course, by the time I was done …. you guessed it …. the agent I’d been working with had left the business. To be fair, he looked over the rewrite, praised it, and told me to keep looking. And so sometimes, well, I get discouraged. You can probably see why. But at the end of the day (actually, at the beginning, when I do most of my writing), I find that I enjoy the process. I like to think of myself as a creative person, and I like the feeling of seeing something that I have created take shape. So I wind up telling myself: Don’t get attached to the outcome. The process of creating is way more important than getting a top 100 ranking on Amazon. Although we could use the money. My daughter attends an elite private university that has been much in the news lately, but my wife and I can’t afford to bribe anybody. And, wouldn’t you know it, just a few days ago an agent said he wanted to look at PUBLIC MORALS. People can follow me on Facebook, email me at tomcoffey@rcn.com, or look at my website: www.bloodalleynovel.com. I’ve just read a new blog post here by Betty Webb, acclaimed fellow Poisoned Pen Press author, who wrote something personal she has never told before. It’s a fascinating story that relates to the books Betty writes, but I thought, oh, dear, I have nothing that dramatic to tell today, or ever. In fact, I am in limbo. My next mystery novel, Brooklyn Legacies, is complete, in the hands of the publisher but not out until December. I have no cover yet, or pr material or any ARC’s to offer as a gift. It is too soon to pre-order. The (next) next one, after that, is just a gleam in the author’s eyes, a fun first chapter and some scrawled pages of notes. And It’s been awhile since the last one, Brooklyn Wars. Life got in the way, and the Legacies story itself took some wrestling to get into shape. Maybe I can just tell a little about where the December book came from. All of my books are about different Brooklyn neighborhoods. My protagonist is an urban historian who researches and writes about changing Brooklyn. That gives me a good excuse to have her stumble upon old and new mysteries and questions no one wants answered. After writing four, I realized I had overlooked Brooklyn Heights even though I actually lived when I was just getting to know New York. That’s surprising, because it is a natural for my kind of book, with a rich history and both old and current conflicts. (Conflict is where we find plots) It was New York ’s first suburb and first official historic district. It is both dramatically beautiful and charmingly quaint. When I lived there, in an attic at the top of a townhouse, I had a sliver of a view of Brooklyn Bridge, a witchcraft shop down the street in one direction and Truman Capote’s old home in the other. There was a Jehovah’s Witness dorm across the street. How had I overlooked this as a setting? But my attic apartment was a whole lifetime ago. What did I remember? And was any of it accurate, anyway? I went over there for a few note-taking walks. I did some extensive library research, catching up on politics I ignored when young and on what has happened since. I interviewed someone who was deeply involved in the epic civic battles between preservationists, real state developers and city planners. The famous and scary Robert Moses was involved. Somehow, that would become the perfect background for my book..
Did I succeed in turning this material into a book? A mystery? That will be up to readers to decide. I will be back here when Brooklyn Legacies is much closer to being out in the world. Today is really step one in the birth announcement process. “It’s a book!” Many thanks to PJ Nunn for inviting me to start here. Triss Stein is a small–town girl from New York farm country who has spent most of her adult life in Brooklyn. She writes mysteries about different Brooklyn neighborhoods and their unique histories, in her ever-fascinating, ever-changing, ever-challenging adopted home. In the next book, Brooklyn Legacies, murder gets in the way of heroine Erica Donato’s efforts to understand historic Brooklyn Heights’ clashing cultures and seismic current changes. Setting my first series in South Carolina came with no choice because the first book in my series is quasi-autobiographical. I’d been offered a bribe at my work which, in a wild unraveling of events, led to my handling internal investigations for a federal agency in South Carolina. Knowing the state like the back of my hand and loving it dearly, I used it as practically a character in the Carolina Slade series. I showed off my state, wanting to become the Sue Grafton of South Carolina, meaning I’d put Slade’s investigations in each of the 46 counties. My mission was clearly defined for the rest of my writing career, but my publisher felt otherwise. After three Slade books, they asked for a new series. Admitting that I loved the Carolina setting, they dared me to choose one place and stick to it. One place that had immense appeal, but also that I felt passionately about. Thus, the Edisto Island Mysteries were born. The largest seller of my books, other than Amazon, is the Edisto Bookstore. Who’d have known that a tiny bookstore, set at the end of the world on an island, would sell hundreds of my books? 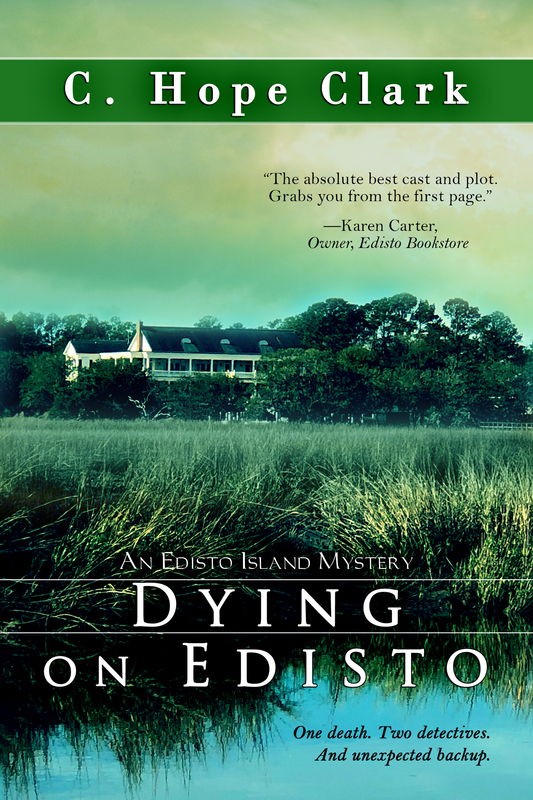 Setting defines Callie Jean Morgan in the Edisto series. She reluctantly arrived on the island, leaving her other self behind, across the Big Bridge as is said on the island. I incorporated every saying, venue, street, and custom of the island into the mysteries. On an island where everyone escapes the rat-race, where doors remain unlocked, and people relax without reservation of what others think, I created crime where people assumed there was none. The juxtaposition of nonchalance and hidden danger. Readers loved reading about where they visited, or where they lived. They cross the marsh on highway 174 and see where the officer drowned. They drive down Pine Landing Road and envision the shootout. They cruise Jungle Shores Road trying to identify where the police chief lives. . . where her mentor was murdered. . . where her yoga mistress best friend resides a stone’s throw away. . . where the break-in took place. Readers have come to signings asking if they got the addresses right as to where things went down in the books. And they are hungry for more. Every time they come to the beach, they want another mystery to solve. . . something else to make them peruse the island beach and envision the crime, the sleuthing, and the place where it all went down in the end. So now, when I have a new release, I start with setting first. . . and work outward. The locale is likewise the big splash for the book announcement, like my last book, Newberry Sin. 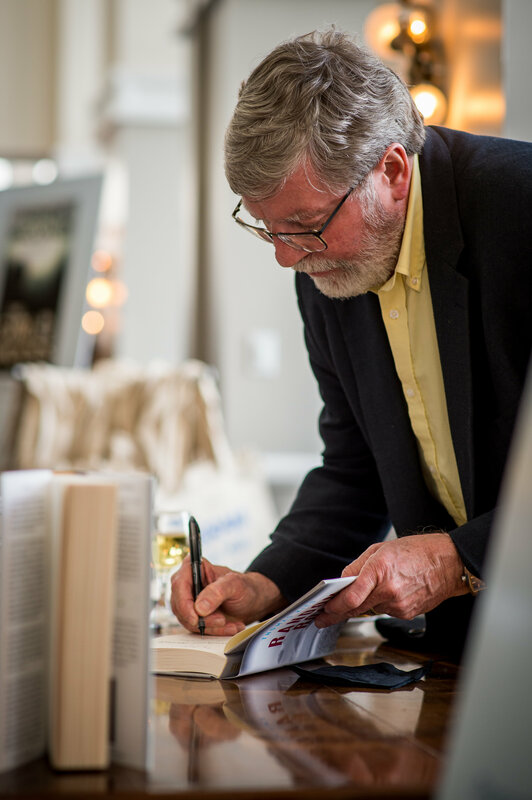 Newberry is a small town in South Carolina, and when the book came out in 2018, the Friends of the Library had a luncheon that was well attended by 200 people eager to read fiction about their town. The year I released Palmetto Poison, the tiny town of Pelion made me their guest of honor at their annual festival. By deeply entrenching a book into a real community, I gained loyal fans who repeatedly invite me back to libraries, bookstores, and book clubs for each new release. So if I had to define what makes my series unique, it would be a strong sense of place. Strong enough to make people want to live there. A church, a silt road, a marshy bog, or the big bay where dolphins play. Each becomes a central, pivotal point around which the characters react. . . and the crime happens. And if readers gravitate to my stories for place first rather than mystery, I’m quite happy with that, because once they savor the story, they’ll be back to read anything else….that takes place anywhere else. Writing is hard. Marketing is even harder – especially when the rigors of marketing force you to look deep inside to find out the reason you write. Why? Because in your marketing pieces, readers (and bookstores and libraries) want to know what drives you to write such dark, puzzling books. You’ve already written the books themselves; now the marketplace wants you to fess up. 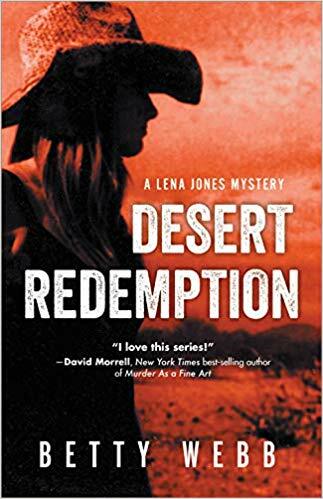 While going back over my blogs and Facebook posts for the past year, I discovered a trend: while seemingly appearing open, I keep evading the very reason I created Lena Jones, my orphaned protagonist in the “Desert” books. Yes, Lena came to me in a dream – as I’ve told everyone — but in our dreams we seldom create what wasn’t already there. For instance, during my childhood I was constantly shifted around from family to family, until I got to the point where I didn’t know who I was or where I belonged in the world. And – this will come as a surprise to people who know me as the independent woman I now am – because I felt like such an outsider, I did what a lot of “outsider-feeling” people do: I joined a cult. I’m not going to name the cult because it isn’t very well known in the first place, and it didn’t turn out to be one of those cults where people wind up dead (as they do in Desert Redemption and other Lena Jones mysteries). It was just a cult that wanted to take over every facet of my life. The cult told me who I could have a relationship with, and who I couldn’t. It told me what I could do with my bankbook, and what I couldn’t. It told me what I could eat, and what I couldn’t. It told me how to exercise, and how often. Why did I allow this? Because when I followed the cult’s rules, for the first time in my lonely life I felt like I belonged. I didn’t stay in that cult very long, and I left for a fairly humorous reason: the cult’s rulers (there were two of them, a man and a woman) were pressuring me to “date” someone I found repulsive. In the great scheme of things, that was rather a low-level reason for my declaration of independence, but there you are. It was my reason. In a way, that cult was responsible for an important step in my growth as a human being. I’d always wanted to feel like I belonged, and I’d found a place where I could do that. But then – ah, the law of Unintentional Consequences – I discovered that “belonging” wasn’t all it was cracked up to be. Every one of the ten Lena Jones books touch on the interpersonal dynamics of cults, and each of them look at one particular aspect of the life: the desire to be loved, the desire to belong, the desire to let others relieve of us of burden of thinking for ourselves. Growing up is hard, which is why some people – including myself – keep putting it off. But it has to be done. It especially has to be done when you strike out to write a series of books that, regardless of their fictional plots, share a piece of your own life story. And it especially has to be done when the creative part is finished, and it’s time to start marketing. It’s time to stop making up the stories and to start telling the truth. And my truth is that I’m a lot more like Lena Jones than even my closest friends suspect. Most of my books are shortish around 60 to 70 thousand words. 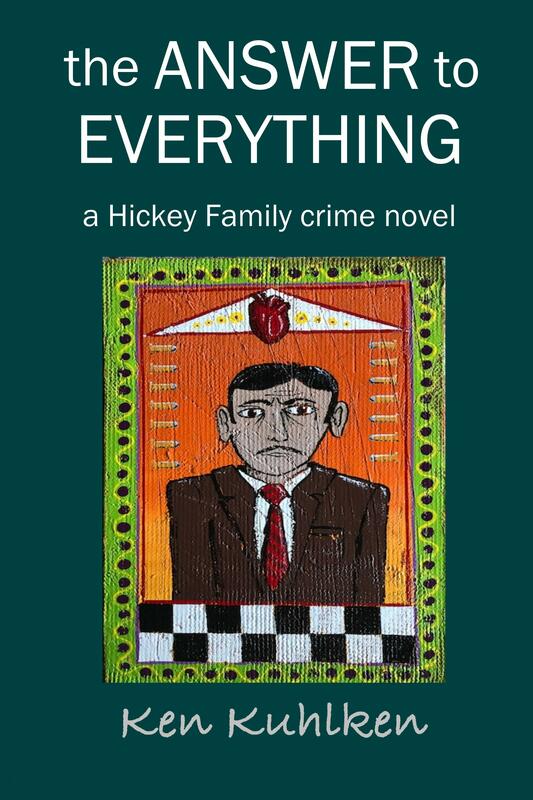 But last year, after I discovered that three of them are one continuous story, I collected them – Midheaven, The Very Least, and The Answer to Everything — into an ebook I call Hickey and McGee. And now I am revising, for maybe the final time, a single story of around 170 thousand words. 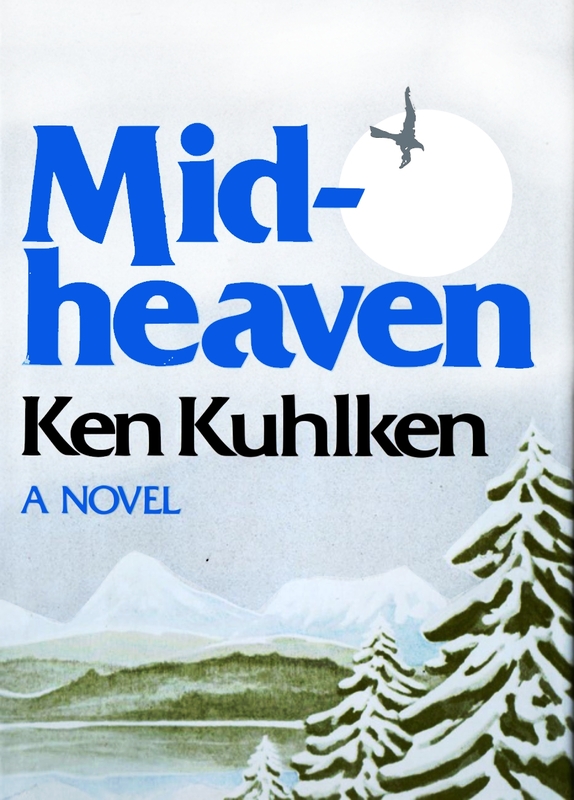 My career as a novelist began with Midheaven, considered “literary” and honored as a runner up for the PEN Ernest Hemingway Award. As the earnings didn’t match the honors, friends suggested I try a mystery. I did so and won the St. Martins Private Eye Writers best first novel competition, which led to a ten book mystery series. Recently I discovered a statement by Fredrick Buechner concerning his favorite novel and mine, Dostoyevski’s The Brother’s Karamazov. Mr. Buechner suggests the story’s magic may have arrived because Dostoyevsky left room to include whatever came up. As a follower of and advocate for that attitude, I found Buechner’s implied suggestion, that we might consider leaving room for excess, both problematic and immensely refreshing. And while she considers his amendment, I humbly suggest that a crucial part of our task as artists is to recognize our limits and apply them. To my profound relief, both masterful writers nod in agreement. Returning to For America after years of writing stories that taught me to recognize my abilities and limits, I have granted myself more liberty than ever before, which is one reason the novel requires all its 170,000 words. Also, it’s a big story. Set in the aftermath of WW II, For America dramatically explores the failure of traditional beliefs and political systems and the rise and fall of counter cultures. Poetry, folk music, hippie communes, Jesus freaks, the Manson family, the People’s Temple, and New Age cults all find their place in the story. Otis, the narrator, born the day the atom bomb destroys Hiroshima, becomes a star pitcher. But wicked conflicts visit in the person of Cynthia, mother of Casey, Otis’s best friend and catcher. Paranoid yet possibly prophetic, Cynthia believes that the adopted son of her powerful sister, will use his prodigious scientific mind and occult knowledge to abet the downfall of western civilization. From there, the story requires lots of pages to show how Cynthia’s outrageous vision and wild dedication shapes the lives of the principal characters for decades and perhaps alters the fate of the world. 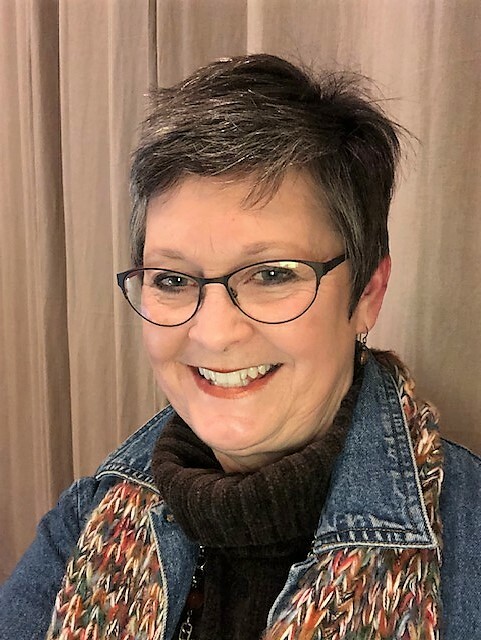 I attended a local writers’ network luncheon a few months ago and listened to a guest speaker who talked about her books and her writing process. Her genre is paranormal romance. Not my cup of tea, but I found her to be thoughtful, interesting, well informed, and entertaining. All in all, a pretty good way to spend an afternoon. Baby, ain’t that the truth. Back when I was struggling to find an agent (much less a publisher), I had a fantasy that I’d fly somewhere (first class, of course), be met by a stretch limousine, drink champagne on the way to a book signing, autograph books until my arm hurt, then head over to the local television station for an interview. The day would end with a steak dinner, glass of scotch, and a suite at an expensive hotel. I’m very lucky that my publisher, Poisoned Pen Press, gets my books into the hands of the people who review novels on a national (and international) level: Publishers Weekly, Library Journal, Kirkus, Bookreporter, Booklist, etc. That’s a big deal and very helpful. They also have a publicist who kickstarts the book launch with interviews in magazines and on websites that specialize in mysteries and writing. I’m deeply grateful. But then the heavy lifting is left to the writer. This entails contacting your local radio station, pitching yourself and your books to the regional newspapers, and hitting your social media platforms like there’s no tomorrow. Who doesn’t like a good mystery? It’s helpful to reach out to local writers’ groups to give talks and workshops. I gave a workshop called Good Guys, Bad Guys and Plot Twists at the NC Writers Network conference last year. When I was in St. Petersburg for Bouchercon, I ran into another writer who told me how much he enjoyed that workshop. Oh, and don’t forget writers’ conferences. 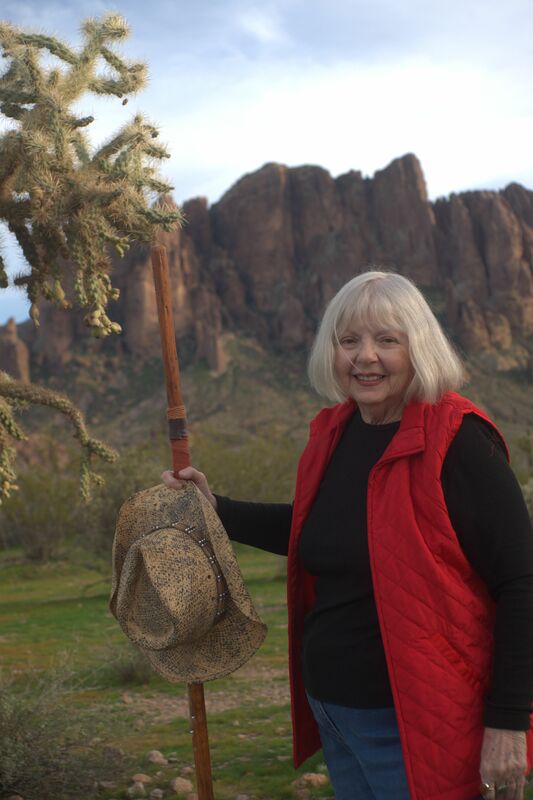 I was asked to sit on two panels at a conference in Phoenix and one at Bouchercon. I was also lucky enough to attend the annual Librarians Conference, PLA Philadelphia last March. In addition to signing books at the conference, my distributor, Ingram, threw a party for about two hundred people in the Pyramid Club, fifty-one floors above downtown Philly, with all the food you could eat, an open bar, and a live band. I was one of two authors signing books that night. We ran out of books. I felt like a rock star. It beat the heck out of being at a book signing where only one person shows up. All the hard work pays off. I’ve been accepted as a guest speaker at the Virginia Festival of the Book on March 23. Then the following Monday, I’ll be signing books at the Winchester Book Gallery in Winchester, Virginia. The point of this blog? It takes shameless self-promotion. If you have a difficult time talking about yourself or your books, you better get over it. I met some of the biggest names in mystery writing over the last couple of years, and they’re still out doing panels at conferences, doing signings, speaking at book events, doing interviews. Granted, they’re doing it on a much larger scale. But even if you have one person show up and tell you how much they enjoyed your last book, there’s no feeling like it. 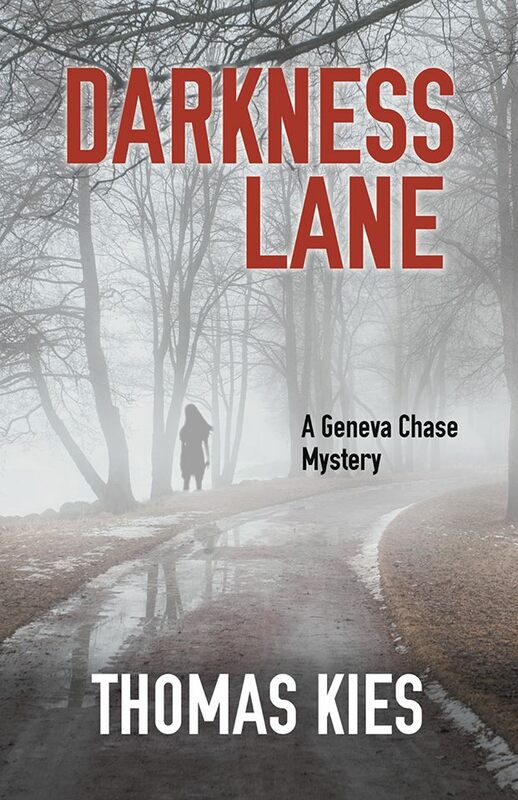 Author of the Geneva Chase Mystery Series, Thomas Kies lives and writes on a barrier island on the coast of North Carolina with his wife, Cindy, and Lilly, their shih-tzu. He has had a long career working for newspapers and magazines, primarily in New England and New York. His next book, Graveyard Bay, is scheduled to come out in July 2019. He is currently working on Trauma House.